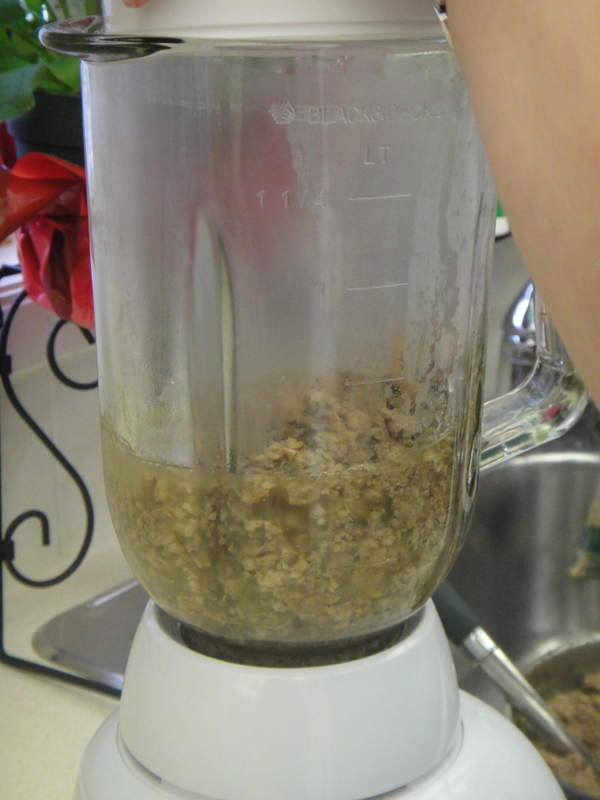 For the crust, you blend peanuts, sugar and butter in the food processor. Then, press it into a pie tin. Next, bake it until golden. until it is silky and smooth. 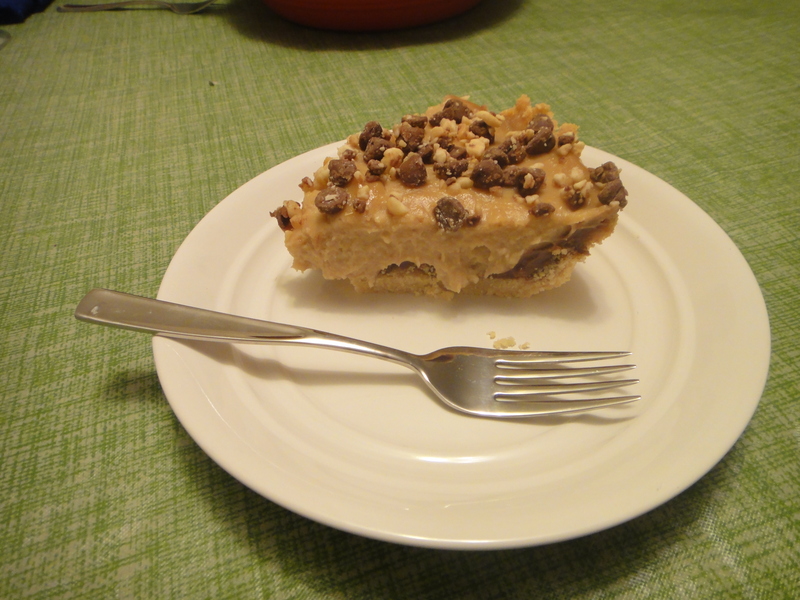 Pour the chocolate on top of the crust and let it set in the freezer. Next step, make the filling. 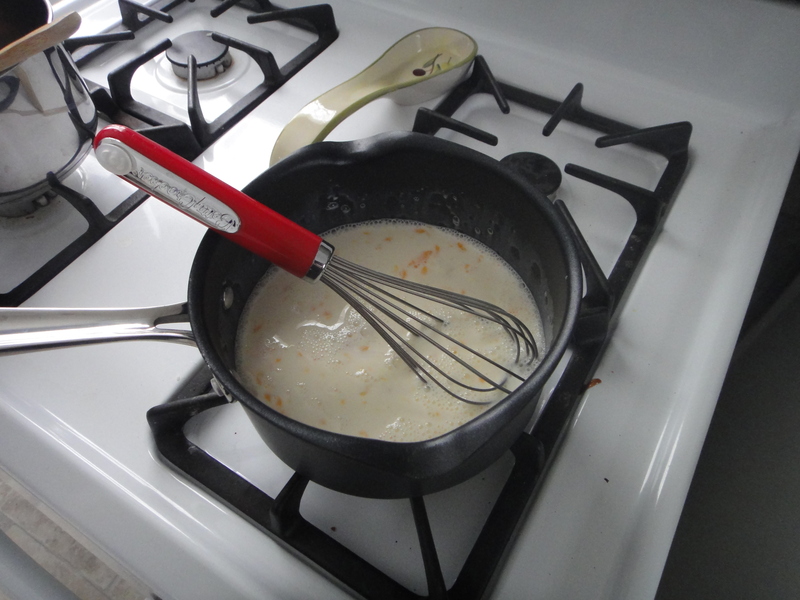 Combine eggs, milk, sugar and cornstarch in a pot over medium heat and stir constantly. Keep stirring until the pudding gets super thick. 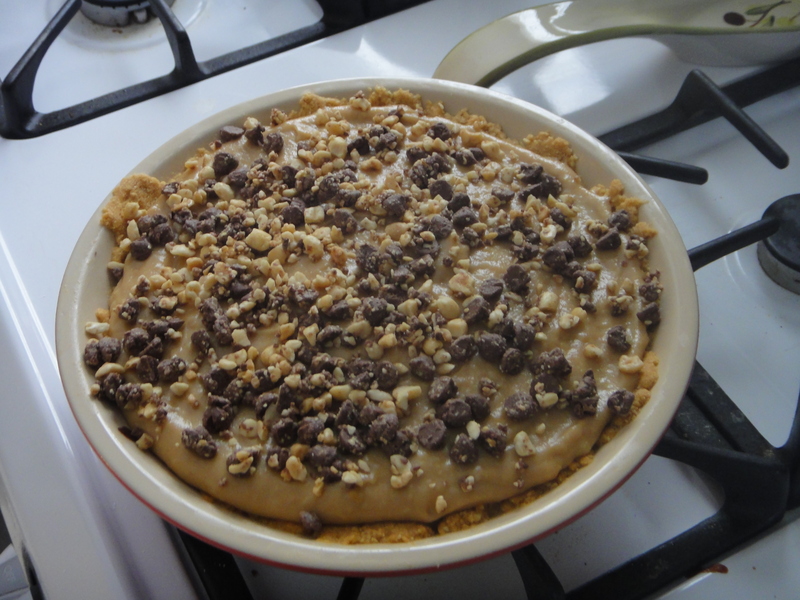 While it’s still hot, add your peanut butter and mix until it is fully incorporated. 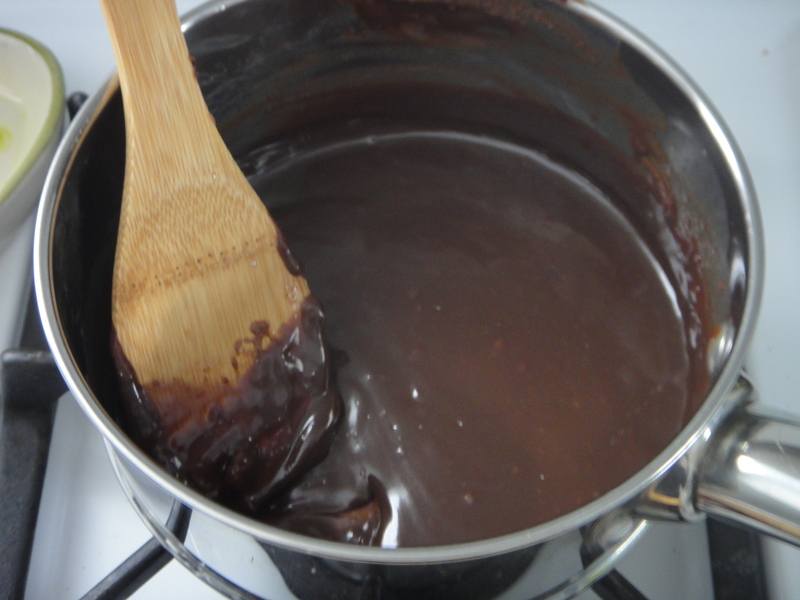 Pour the filling on top of the chocolate. Pulse some peanuts and chocolate chips in the food processor a few times, and sprinkle on top. Serve at your next dinner party. Enjoy, a lot! Preheat oven to 350 degrees. 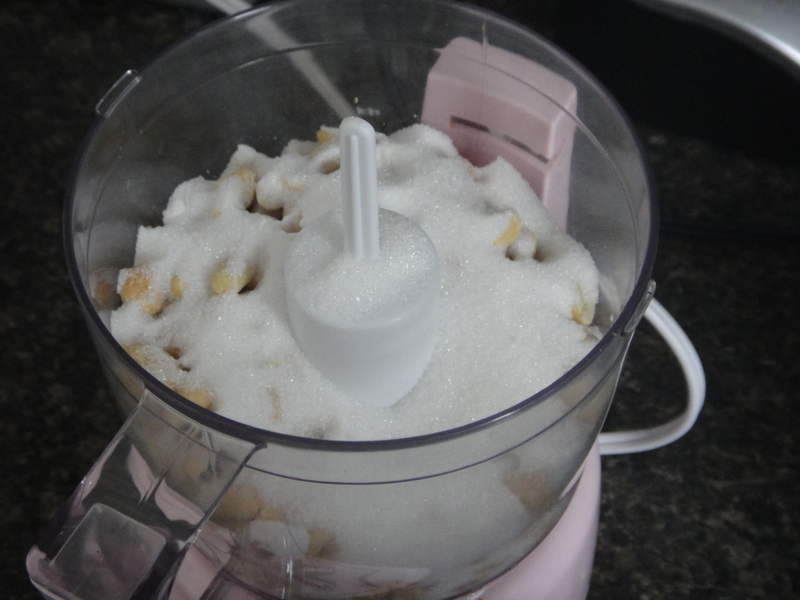 Put peanuts and sugar in food processor and pulse until ground up. Pulse in the melted butter. Press evenly into the bottom of a pie tin. Make sure you even it out. Bake 15 minutes. It will start to brown and be pretty set. It will still be a little soft when it comes out of the oven, don’t worry it will firm up. Set aside to cool slightly. While crust cools, melt chocolate and cream together in a double boiler over barely simmering water, stirring often until melted and glossy. 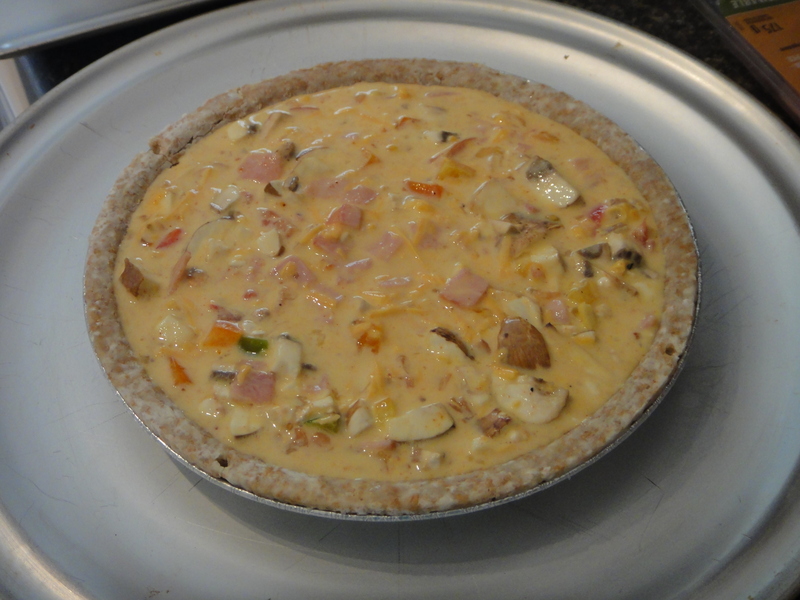 Spread over crust and put in the freezer for about 30 minutes while making the filling. 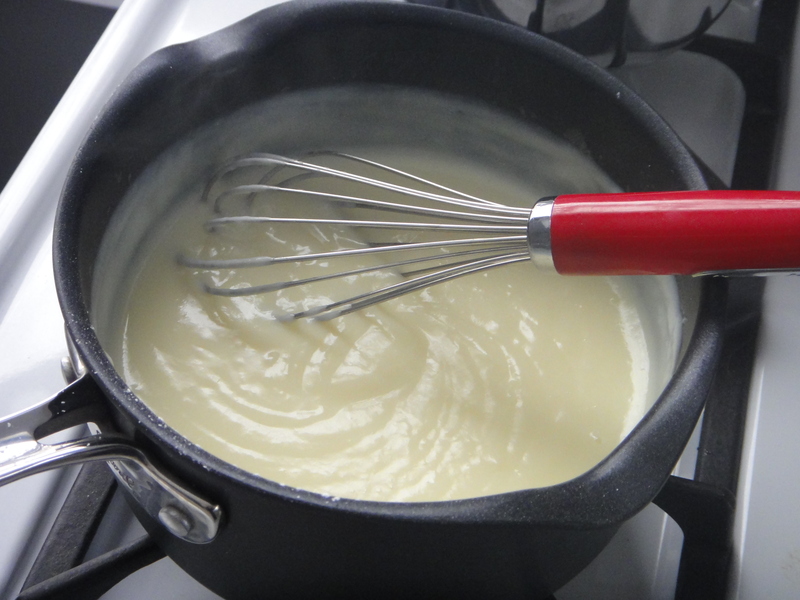 Whisk the milk, half and half, eggs, powdered sugar, cornstarch and salt in a medium saucepan. 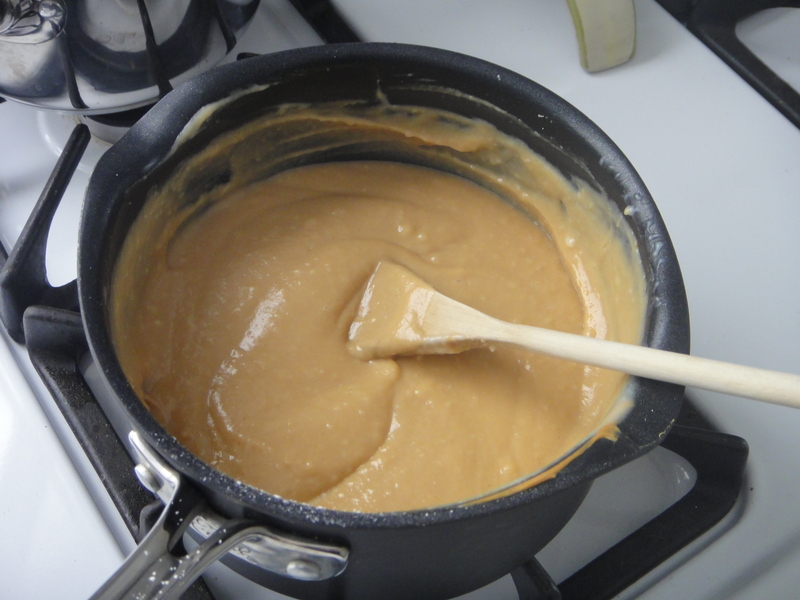 Cook over medium heat, whisking constantly until it becomes the consistency of pudding, 5 or 6 minutes. 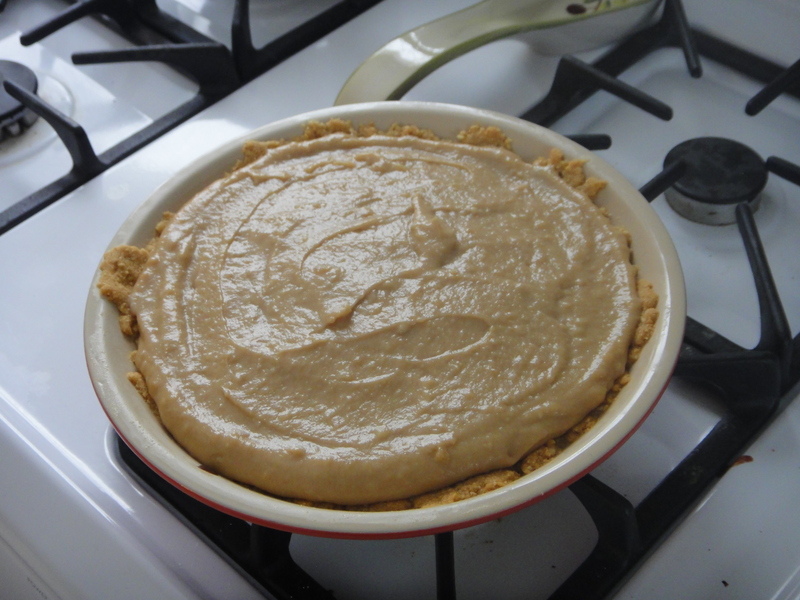 Take off the heat and whisk in the peanut butter and the vanilla. Let cool slightly. 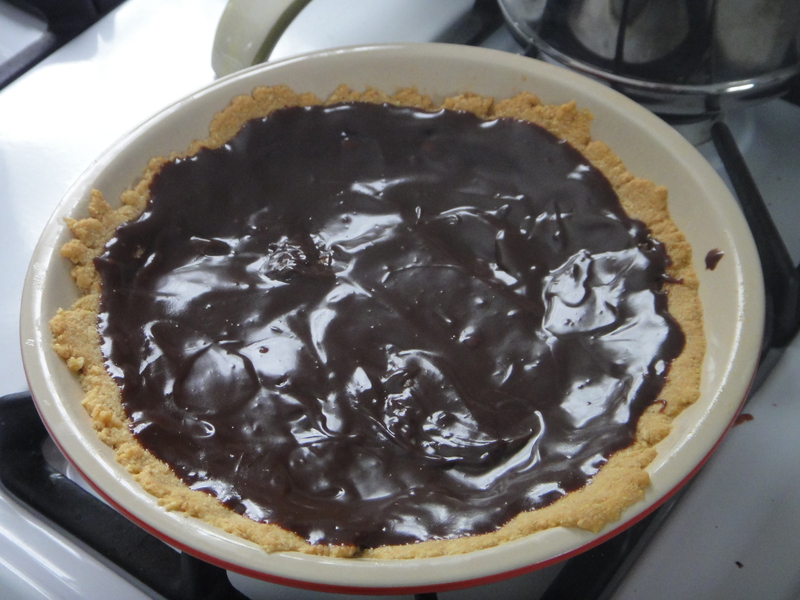 Spread evenly over the chocolate and refrigerate 4 hours or until cold. Pulse chocolate chips and peanuts in food processor until broken into small pieces, then sprinkle evenly on top of the pie. Serve with a glass of wine. Enjoy, a lot! The other day, I was inspired to make burgers. The reason was that we have just received a massive dump of snow, chiming the arrival of winter for good. I know, burgers are not winter foods – but I find that if I make summer foods throughout the winter, it helps me get through the long dark of the Canadian winter. Also, these burgers were delicious, so why not? Start with tilapia filets and cut them into chunks. Throw the fish into your food processor, along with all your spices (garlic, Old Bay seasoning, dill, Worcestershire sauce, and mustard), then blend it up until smooth. Throw it all into a bowl, and add breadcrumbs until it sticks together. If you’re making them early in the day, you can store them in the fridge by separating the layers of burgers with a sheet of parchment paper. Now for the aioli. It’s super simple. Combine the mayo, lemon juice and dill until smooth. Next, you’re gonna want to fry your burgers in a pan over medium heat until crispy. 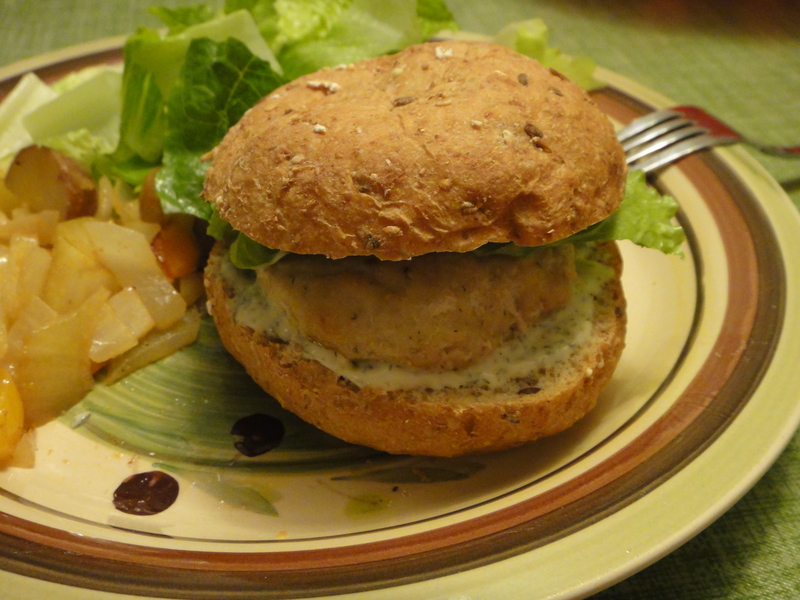 Serve on a bun with the aioli and enjoy, a lot! 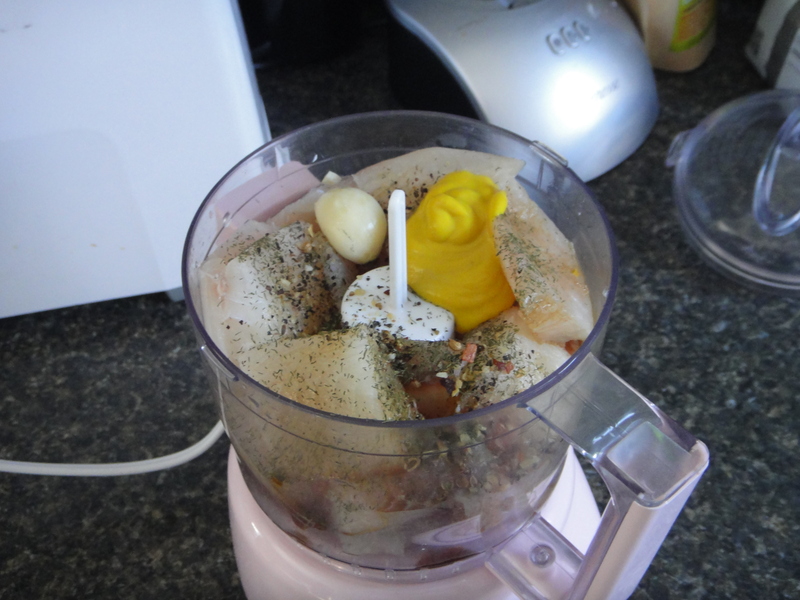 Combine tilapia, mustard, Worcestershire sauce, old bay seasoning, garlic and salt and pepper in your food processor. Blend until evenly combined. 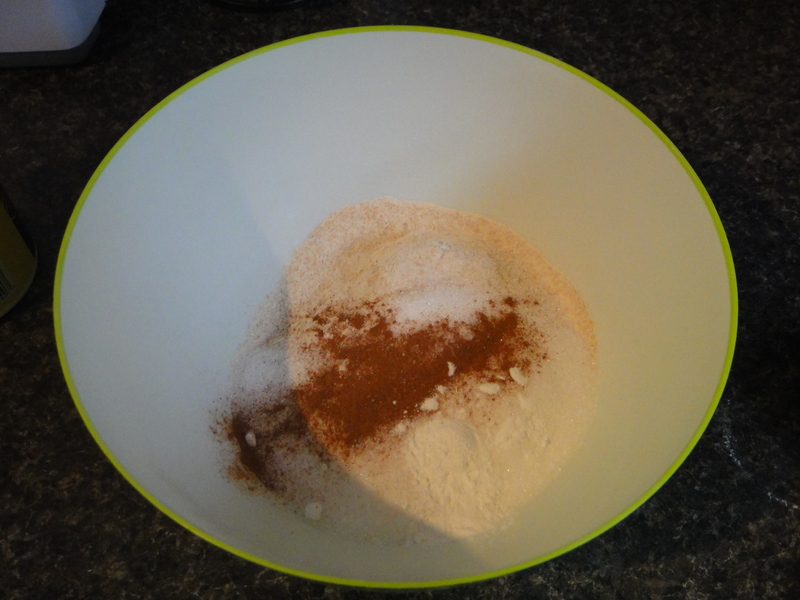 Transfer to a bowl and add breadcrumbs. 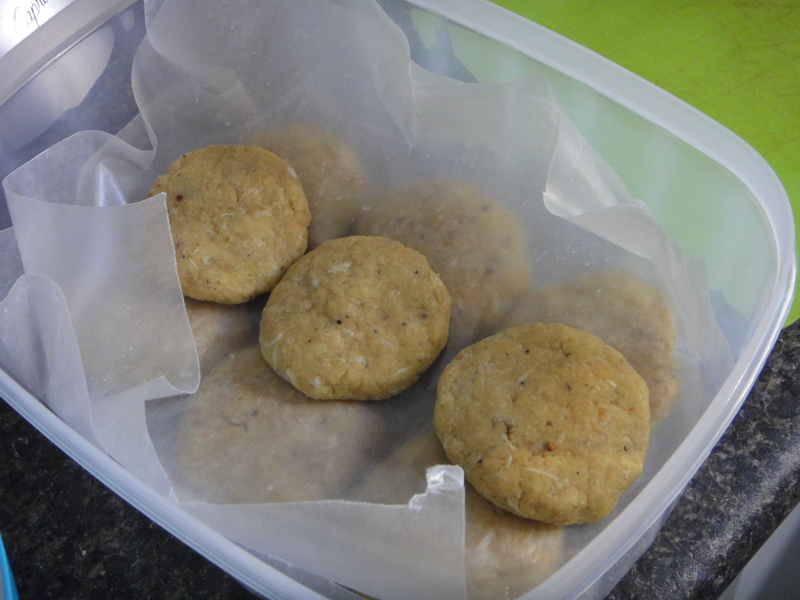 Form into patties and put in the fridge to firm up for at least a half hour. 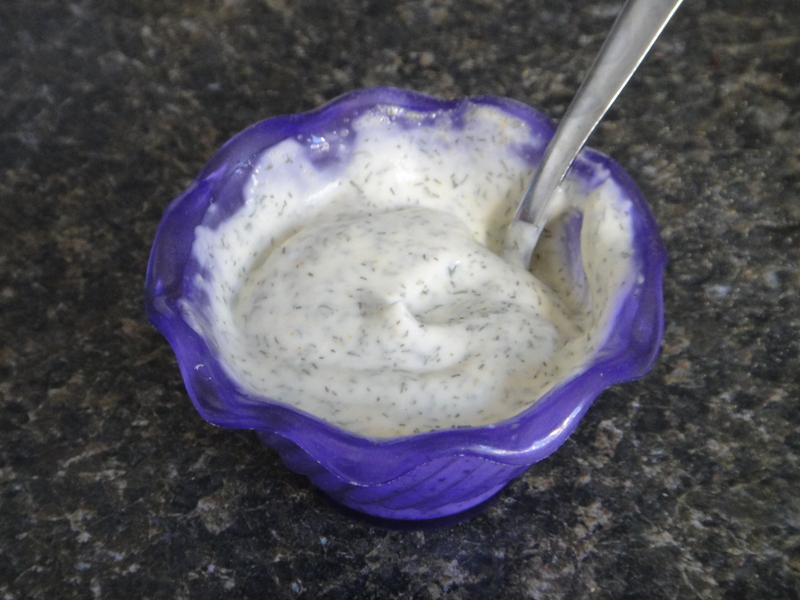 While you’re waiting, make the aioli by combining all of the ingredients in a bowl. Heat 1/2 inch of canola oil in a pan over medium heat. When it reaches frying temperature, fry the patties until golden brown. Drain on a paper towel. 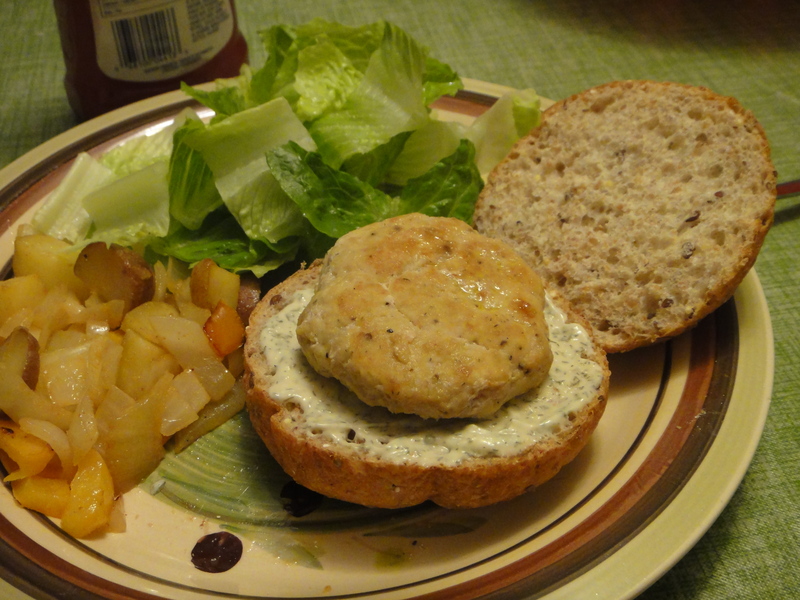 Serve on a bun, smothered in aioli. Enjoy, a lot! I am happy to announce that I’ve decided to join the Canadian Food Experience Project. The project began back in June, 2013, and is a collection of stories through regional food experiences. Through these stories, participants hope to bring global clarity to our Canadian Culinary Identity. I joined the project a little late, as I didn’t think I’d have the time to commit to a post a month. Now I do, and I am playing a little bit of catch up. This post speaks to challenge five: the Canadian Harvest in Alberta. As a member of OFRE, I can’t think of a more regional harvest celebration than apples! 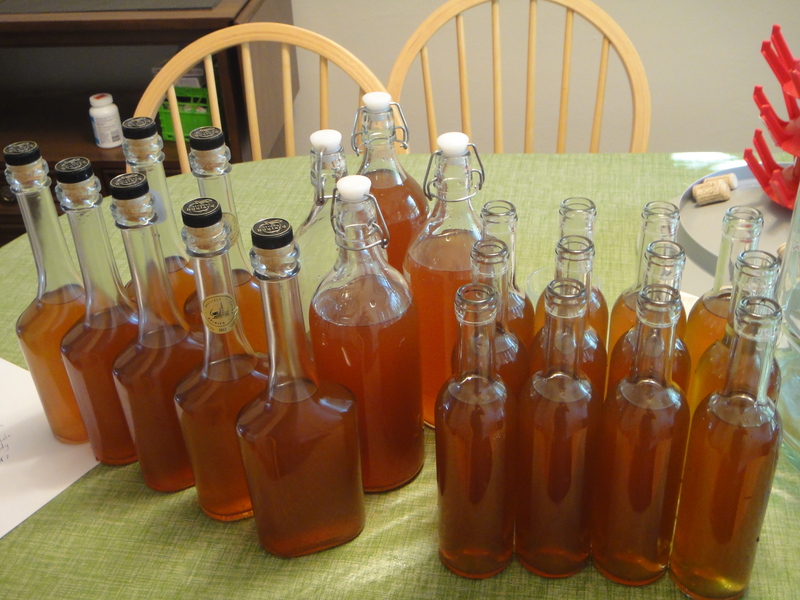 Remember my post on apple pressing and how, at the end of the post, I promised to tell you what we made with all that juice? Well, here it is. The product of my fall harvest: Pommeau. 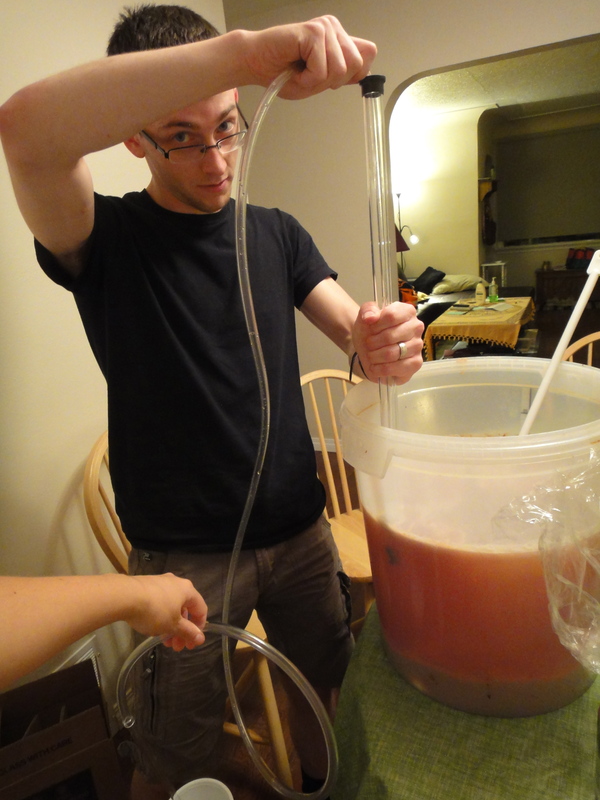 While pressing all that juice at Kevin Kossowan’s place, he introduced us to Pommeau. It’s a simple and tasty mix of Calvados (apple brandy) and fresh apple juice. 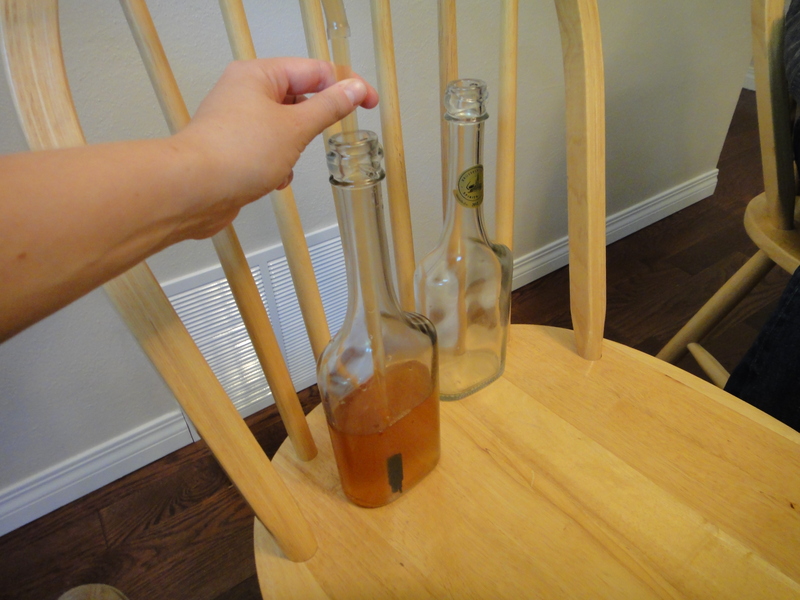 It’s incredibly simple to make, and takes the annoyance out of having to make cider out of all that juice. Also, because you are mixing the juice with such a high percentage of alcohol, it kills all the bacteria and natural yeast, meaning you do not have to pasteurize it! How awesome is that? We started with the Calvados. 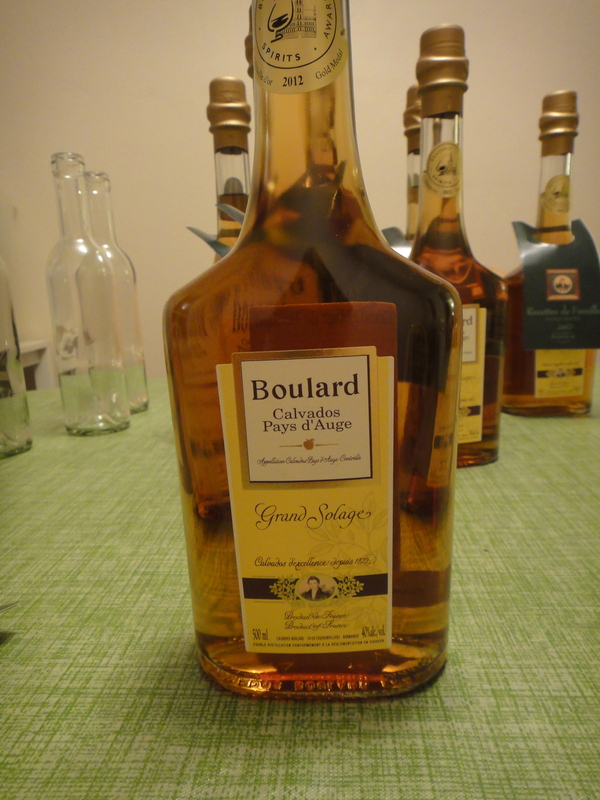 You can always use a higher proof, more expensive Calvados, but we decided to opt for a cheaper bottle. (This guy was 22$). 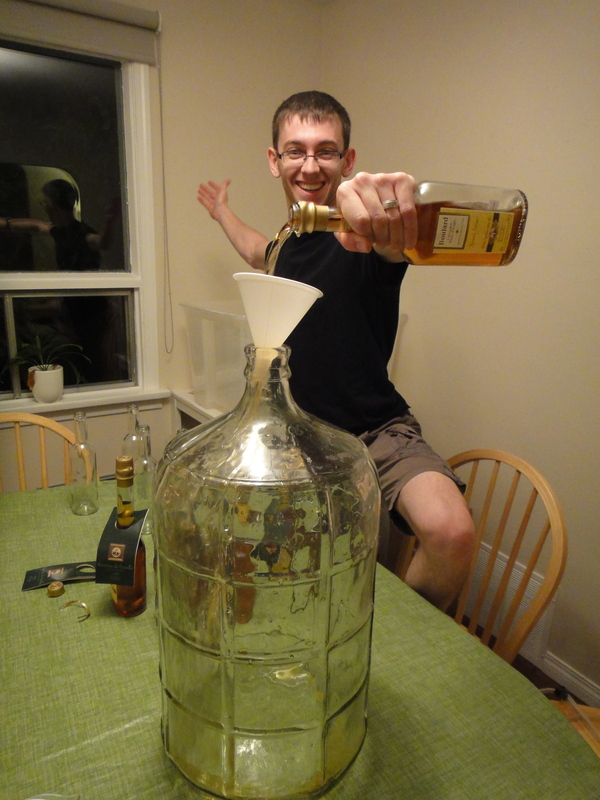 Next, we opened all of our bottles and poured them into our carboy. Next step, mix the calvados with the juice. 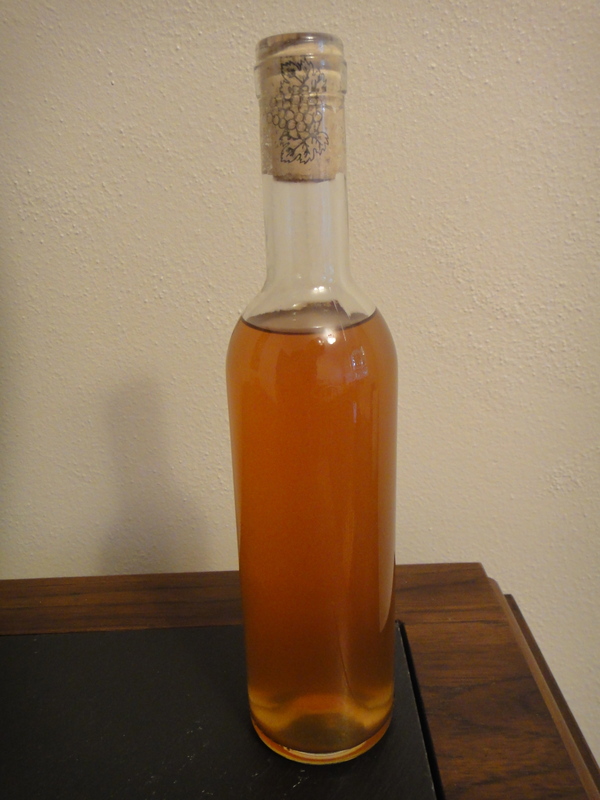 the recipe is super simple: One part calvados, two parts fresh apple juice. That’s all there is to it. Here it is, all mixed up. Next, it was time to fill all of our bottles. 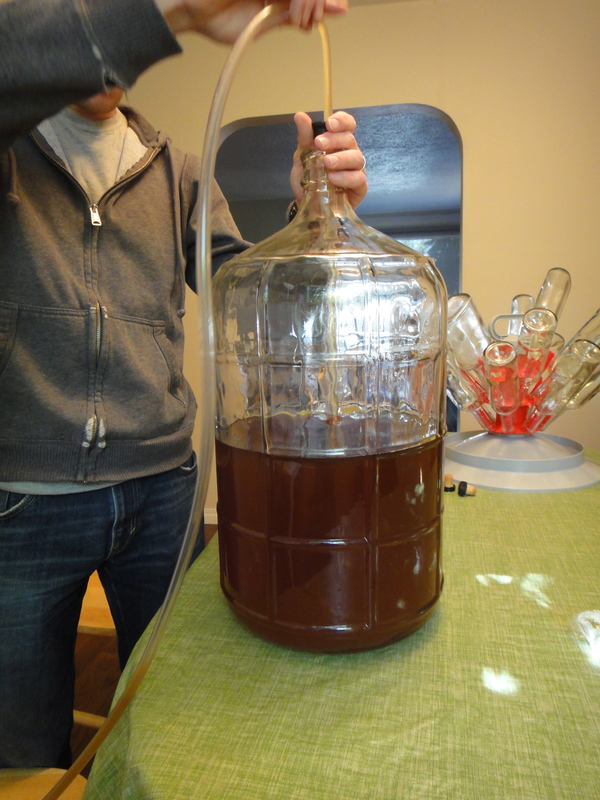 Using a pump, we filled all the bottles. 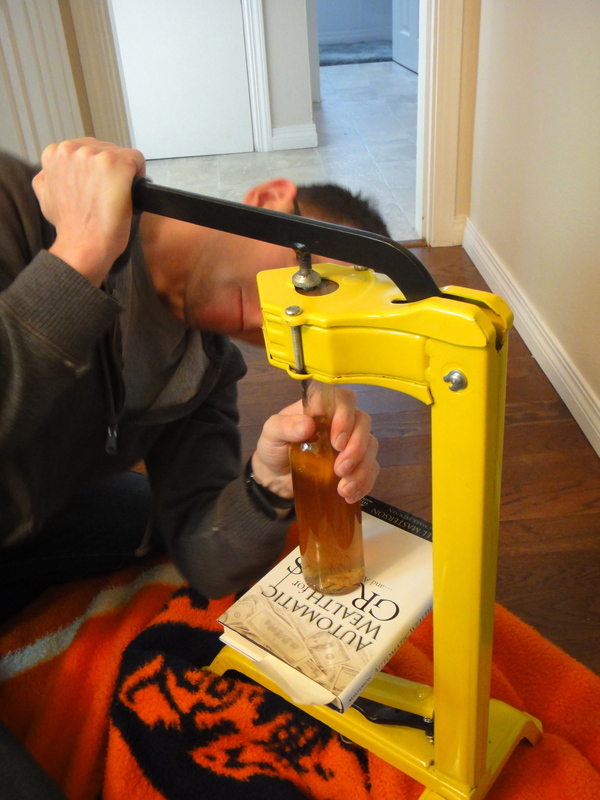 Next step, corking. This was super fun! 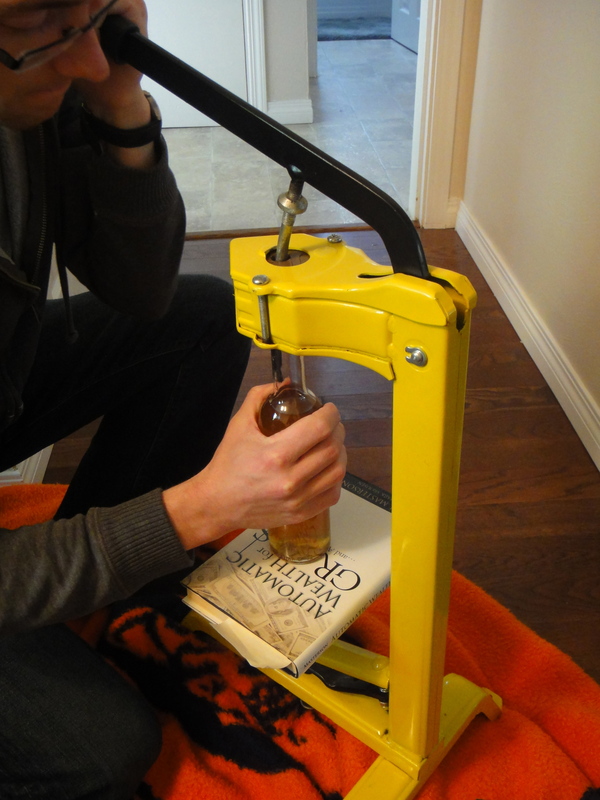 We rent a machine from winning wines, and the process was extremely efficient. Here is the final product, all ready to be enjoyed. Mix together. Serve on ice as a aperitif, or serve with some club soda for a sparkling beverage. Enjoy, a lot! One of the best parts of being French Canadian is that I have a long family history of making traditional comfort foods that have been passed down from generation to generation. 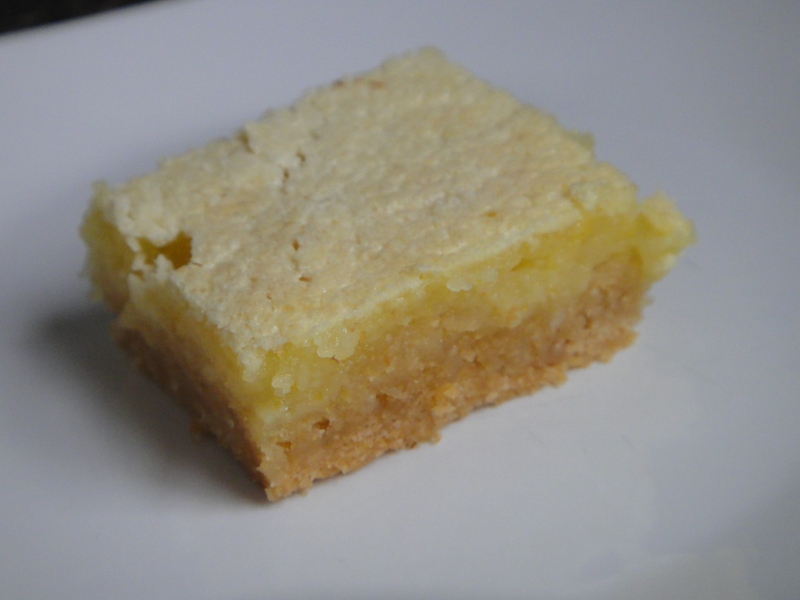 This recipe is the one that my Grand-Maman made during the holidays every year, and was passed down to my mom. This weekend, she asked her girls to help her out by making cretons (as she does every year at this time, to give away as Chrismas gifts). I thought it would be a great opportunity to preserve our heritage by capturing the recipe in a post! 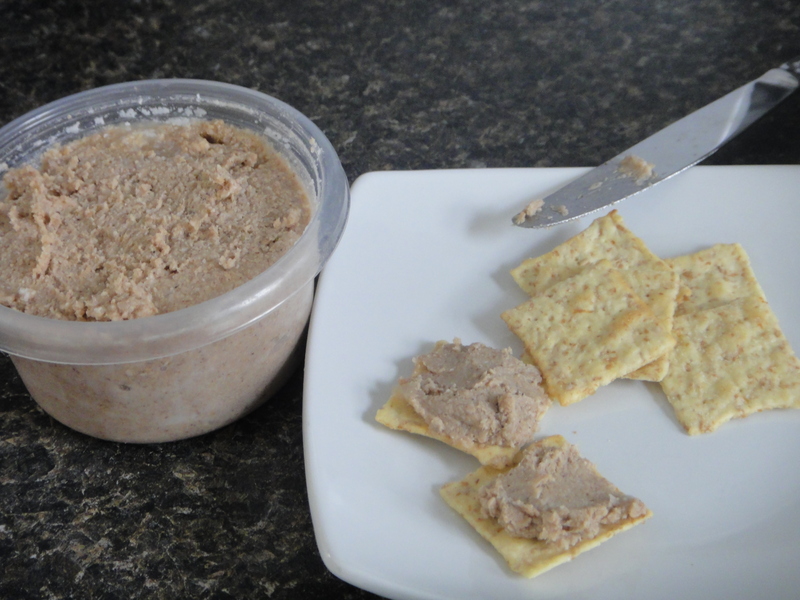 Cretons is essentially a spiced meat spread. I know what you’re thinking – a meat spread? 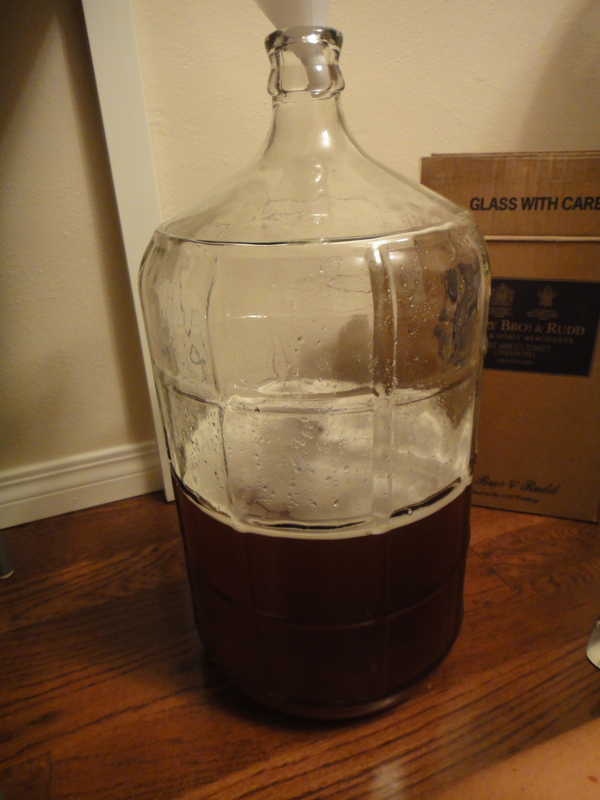 It sounds absolutely disgusting – and some in my family might agree with you (ehrm, my sister! ), but with the perfect combination of spices and meat, you will be coming back for seconds! My mom did all of the first steps to the recipe, so that it could simmer for 4 hrs before we arrived. Here’s the recipe as it is simmering. The spices used in this recipe are holiday staples – cloves, all spice, celery salt and salt and pepper. Once it’s finally done simmering, it’s on to the next step. Let it cool slightly. Then add a little water and blend. 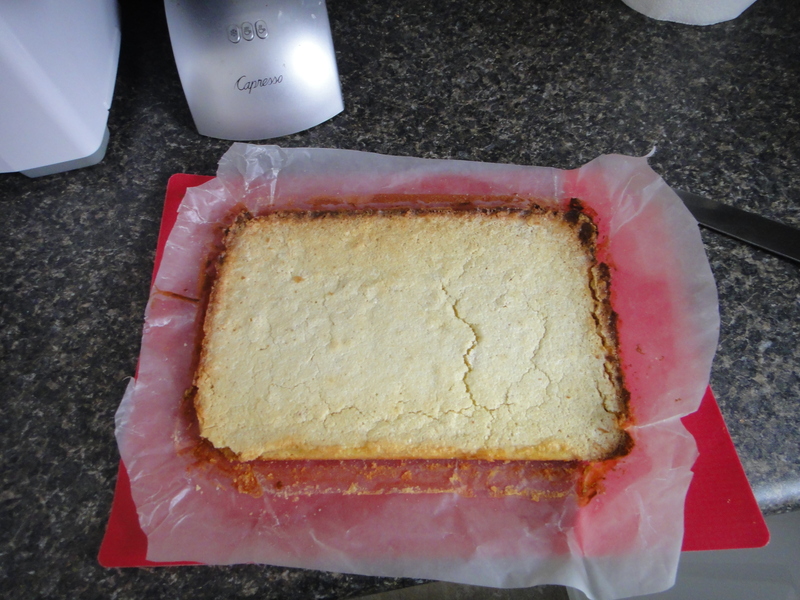 Again, let fully cool before putting a lid on and popping it in the freezer. Melt lard in a large pot until crisp. Strain. 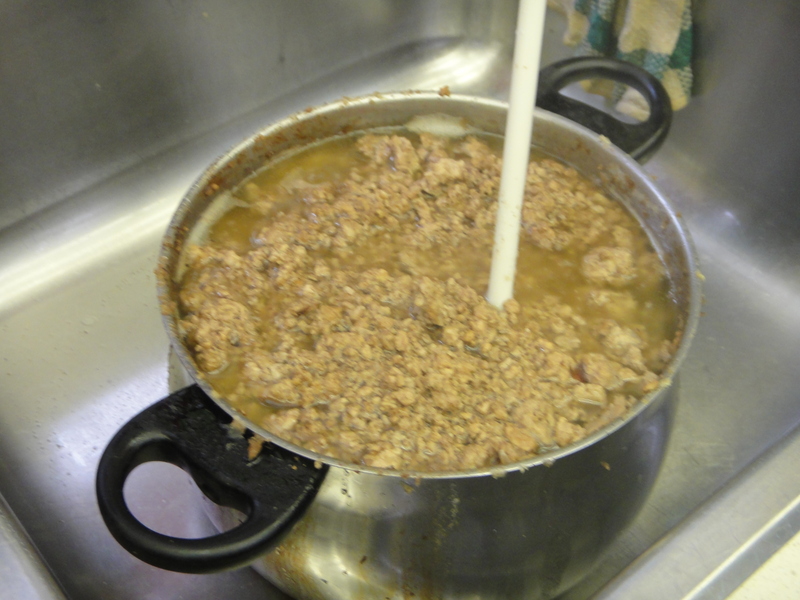 Add pork, onion and water to the lard and on high for 15 mins, stirring constantly to break up the meat into small chunks. Reduce heat, simmer for 4 hrs. Towards the end of the cooking time, add spices and salt and pepper. Let cool slightly. 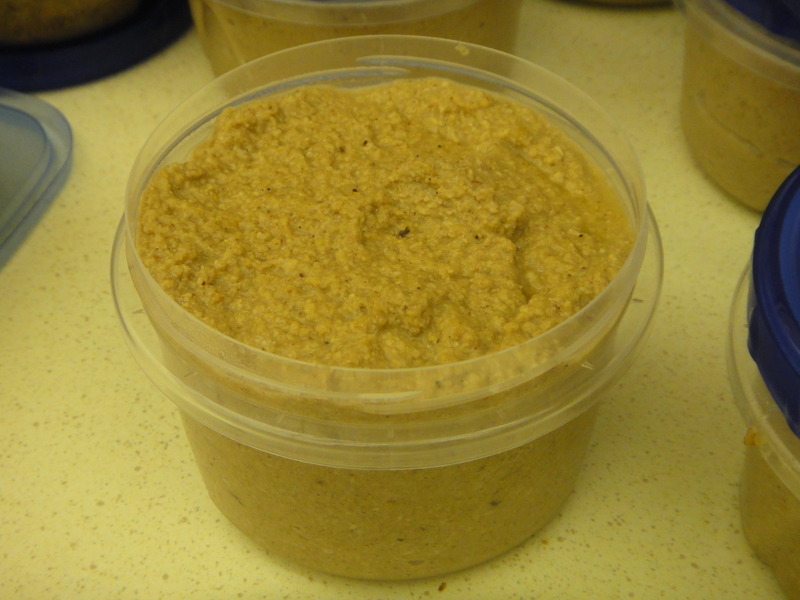 Blend until you have a spreadable consistency. Let fully cool before putting it in the fridge or freezer. Enjoy on crackers or on toast. As always, my ingredient shot. 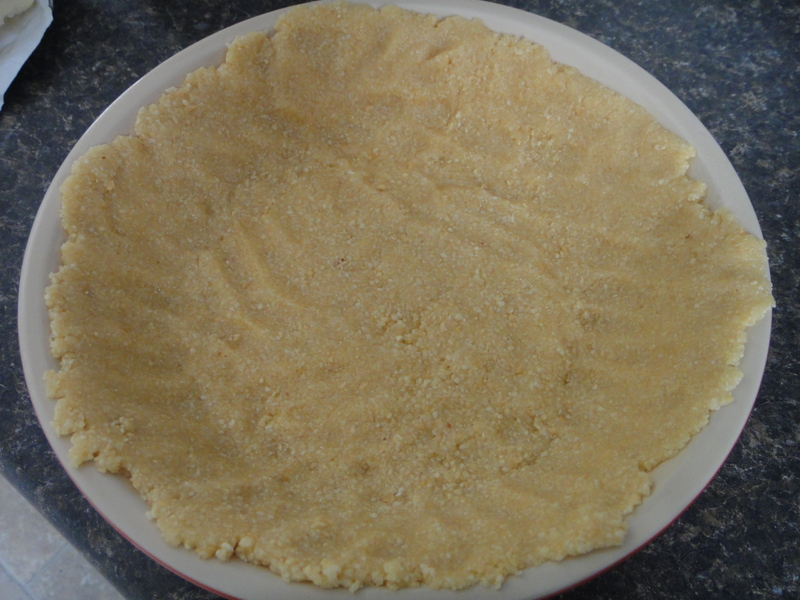 First things, first, to make the shortbread crust, combine flour, butter and sugar in the food processor. 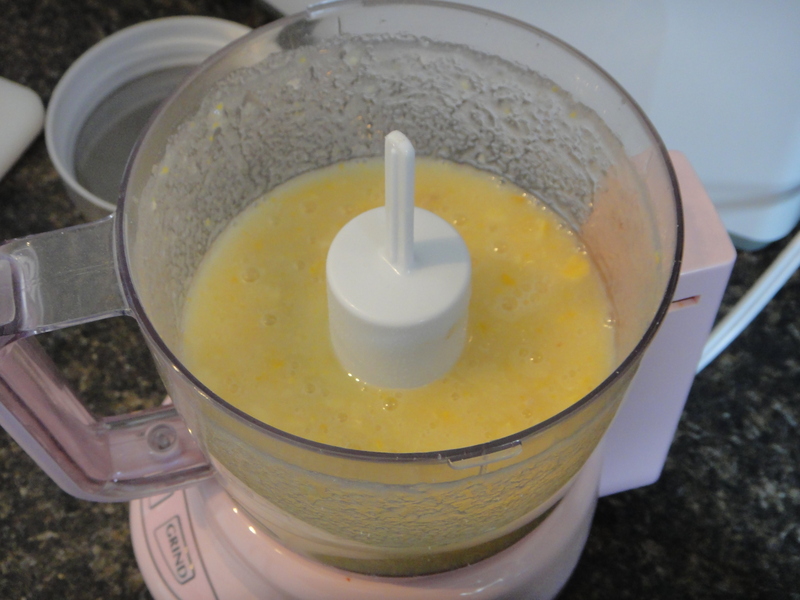 Blend until it it flaky, but still holds it shape. 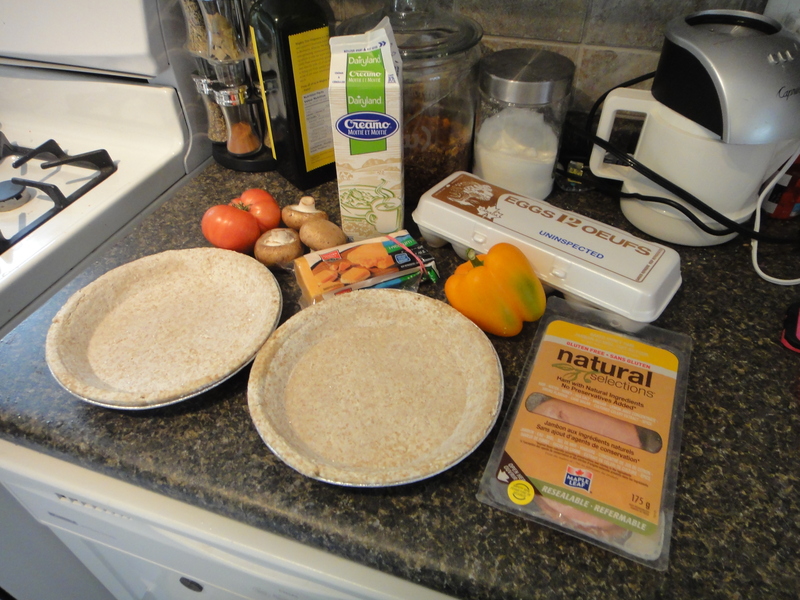 Next, spread out and press the dough evenly into a baking dish lined with parchment paper, using your fingers. You’ll also want to poke it all over so that no bubbles form. Then let it bake. While it’s baking, make the filling. Take one whole lemon, slice it into rings, and remove the seeds. 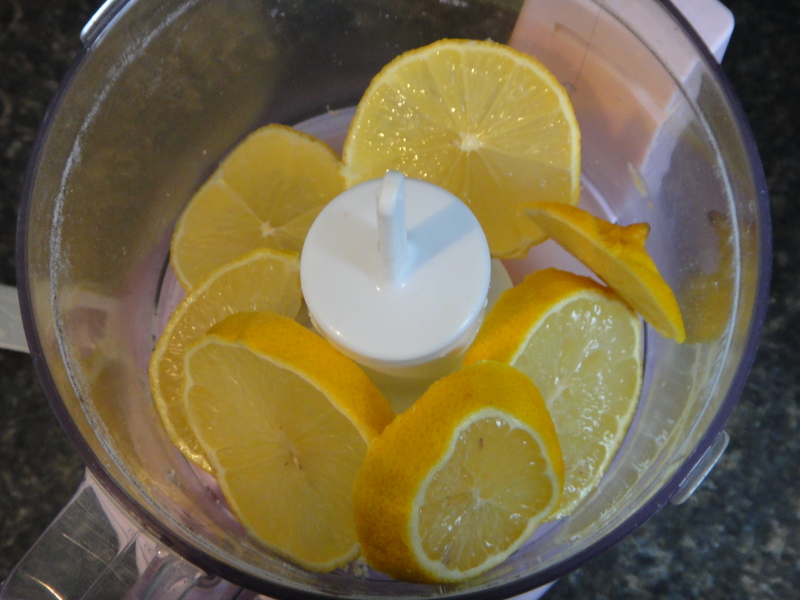 Next, add your sugar and blend until the lemon is completely pureed. 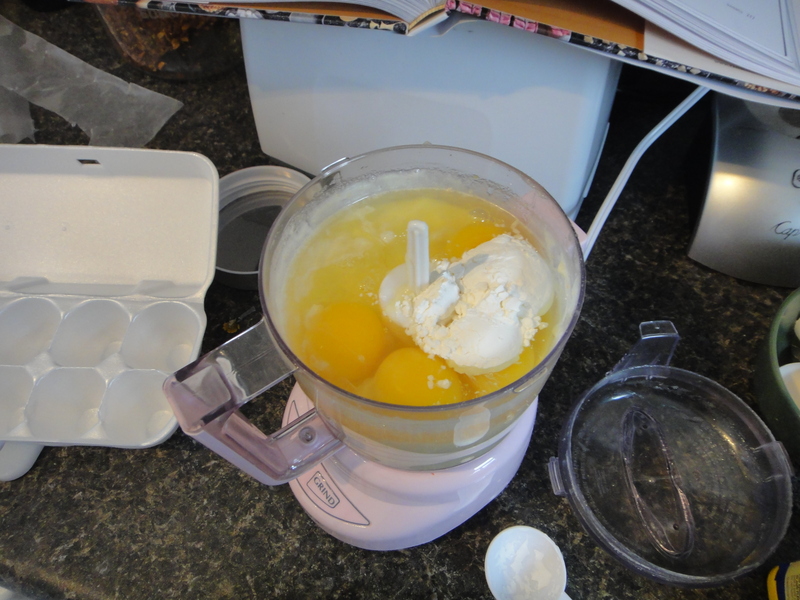 Add your butter, eggs and cornstarch, and pulse. 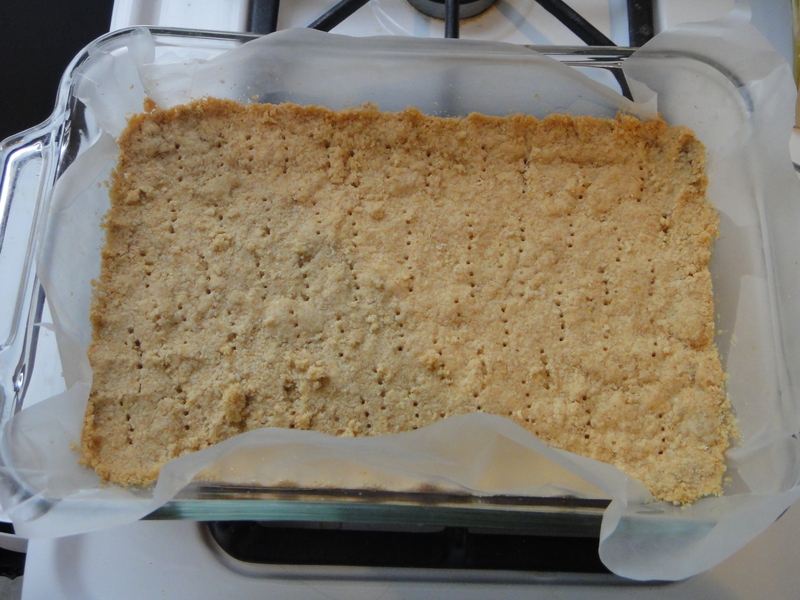 By this point, the shortbread crust should be ready. Pour the lemon custard on top. 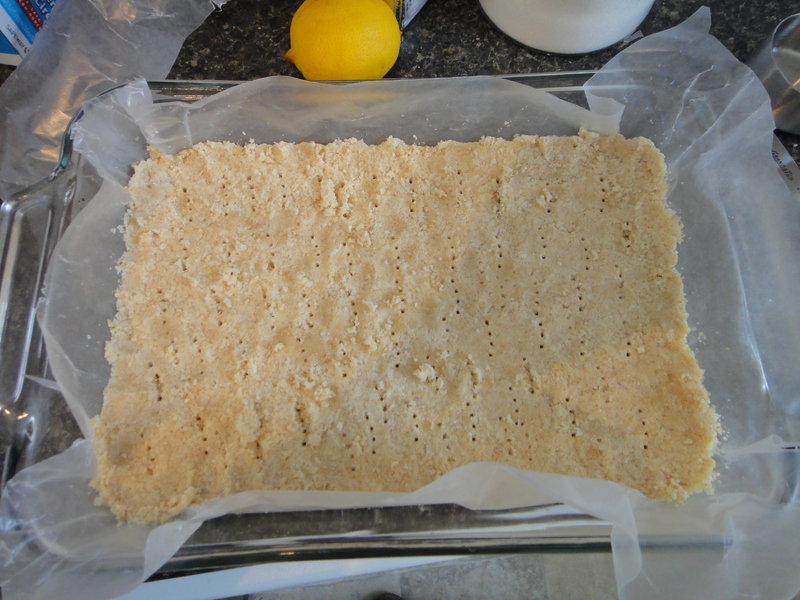 Bake until it’s set, then use the parchment paper to transfer to a cutting board. Heat oven to 350. 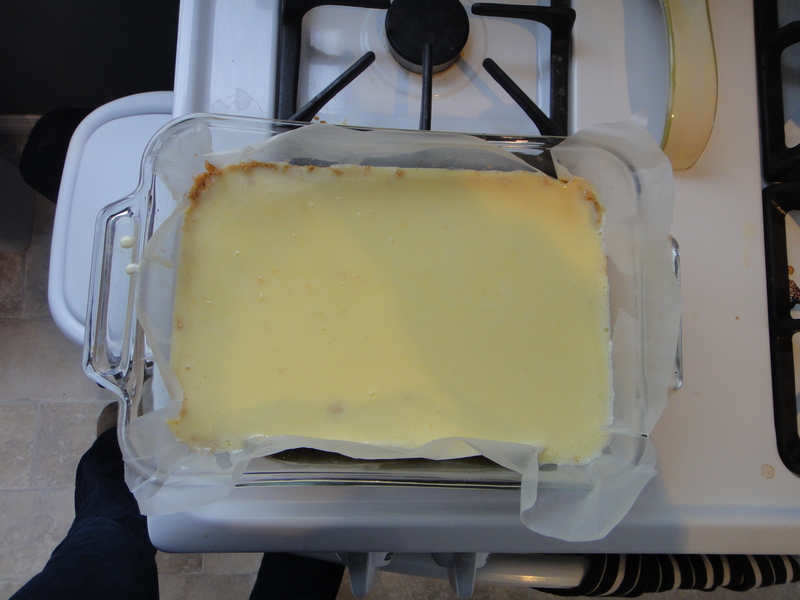 Line a baking dish with parchment paper. 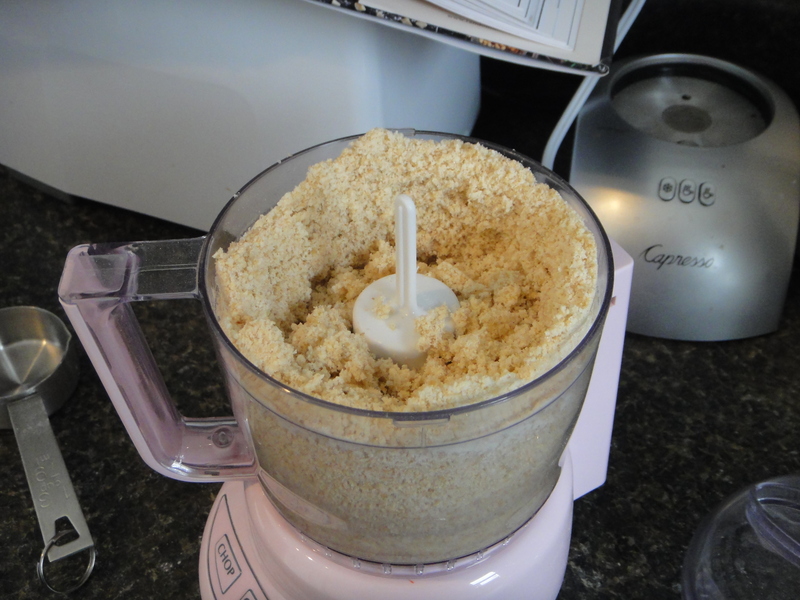 Blend flour, sugar and butter in your food processor until the mixture is well combined and crumbly. 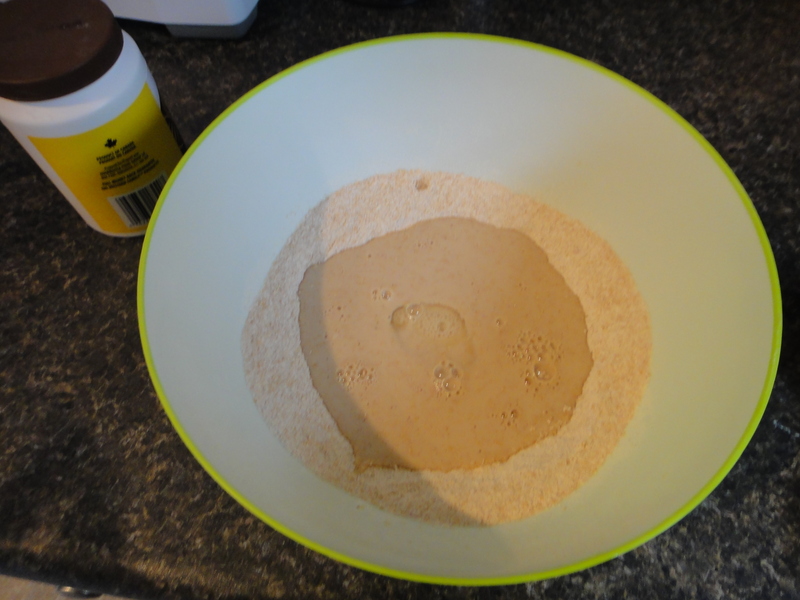 Turn the dough into the pan and press evenly, using your fingers, until the bottom of the dish is covered. Prick the dough all over with a fork, to make sure no bubbles show up in the dough. Bake for 20 mins, or until the crust is slightly browned. While the crust is baking, make your filling. 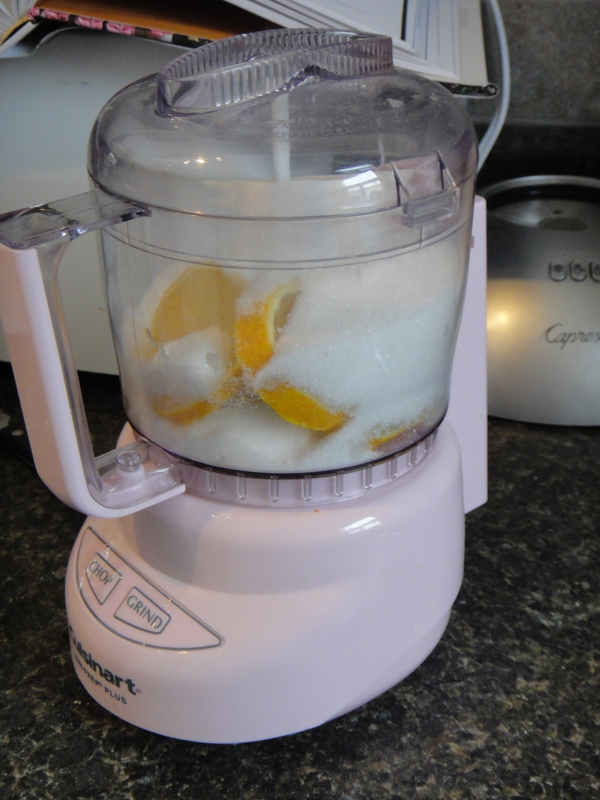 Cut the lemon into rings, remove the seeds, and throw the whole thing into the food processor. 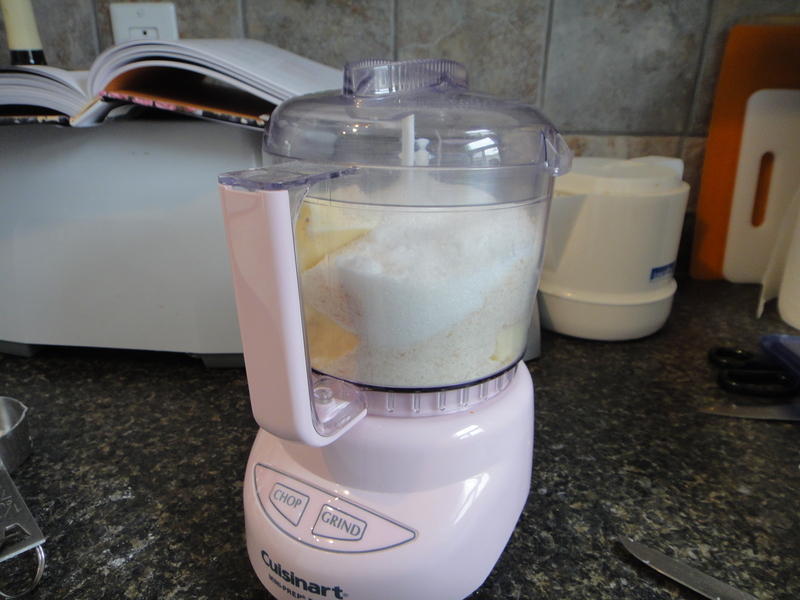 Add the sugar and run the food processor until it is thoroughly pureed (about 2 mins). Next, add the butter, and run until smooth. 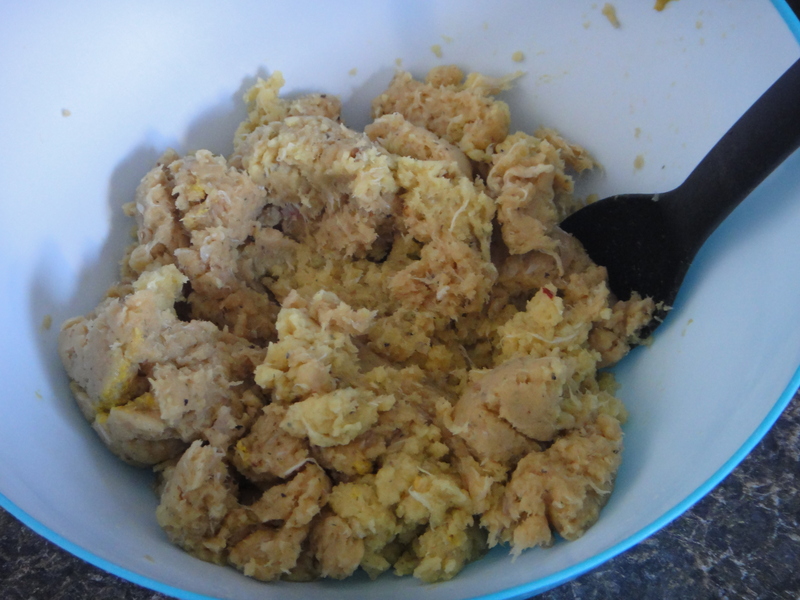 Add the eggs and cornstarch and pulse until evenly combined. 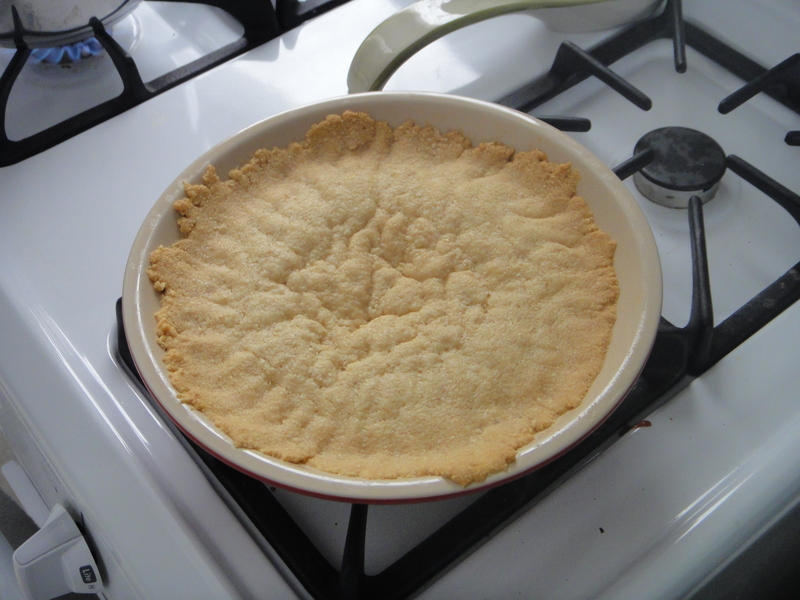 When the crust has browned, add the filling to the baking dish and bake it for 30-40 mins, until the custard has set, and is no longer jiggly, or slightly brown. 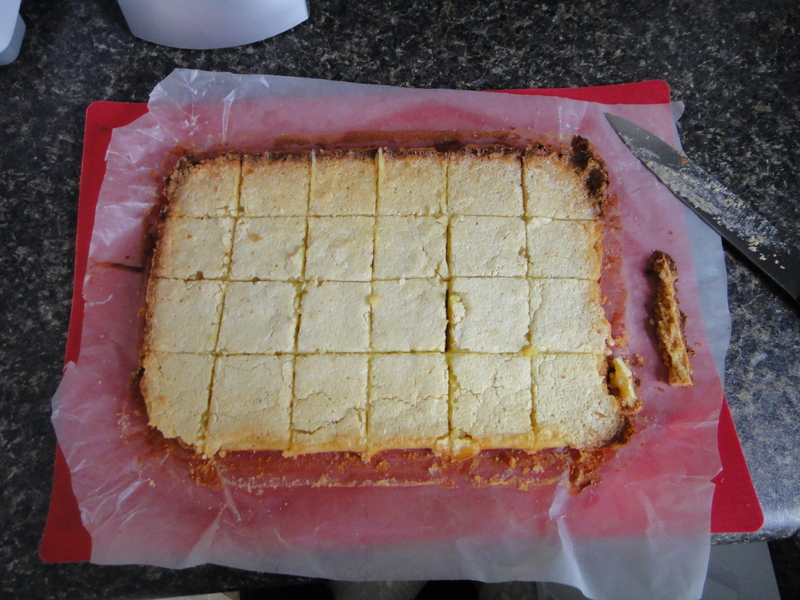 Let cool, then transfer to a cutting board, cut into squares and enjoy! With the weather about to take a turn for the worst this weekend, I felt it was time for some tasty comfort food, that would fill our bellies with warmth, as we prepare for what is sure to be a long, cold winter ahead. Now what is more comforting than a batch of muffins, right out of the oven? 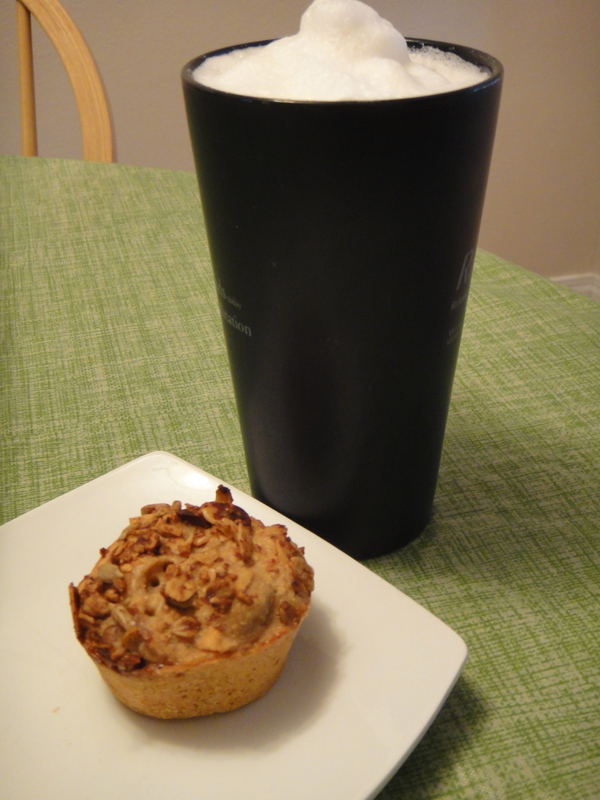 How about tasty Chai Spiced muffins? 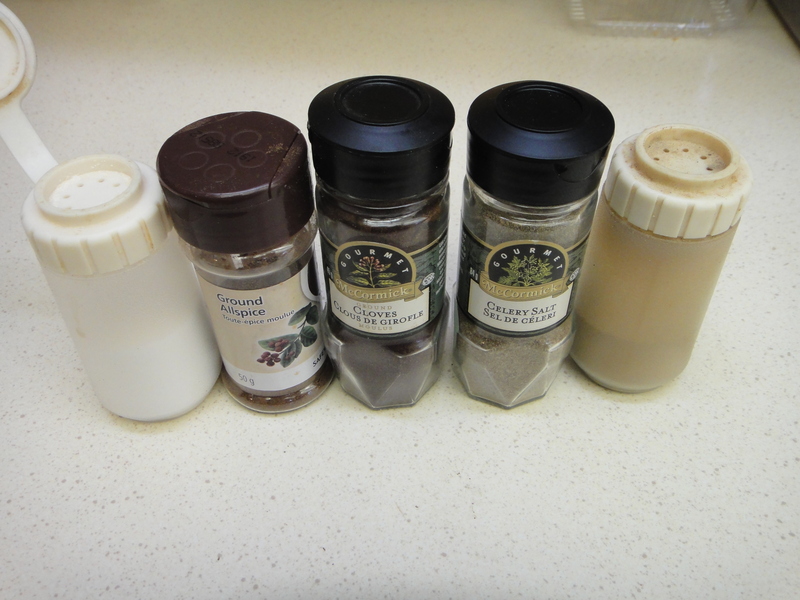 This recipe was fairly simple, and had all of the flavour of a tasty Chai latte. 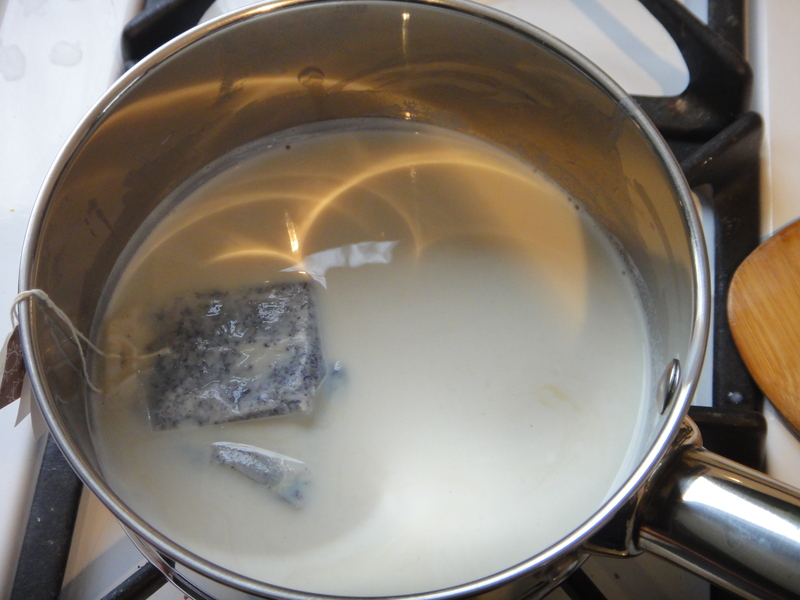 I steeped two chai tea bags in hot milk, to get the most of of their flavour. Next I mixed up the dry ingredients. Then in went the wet ingredients. 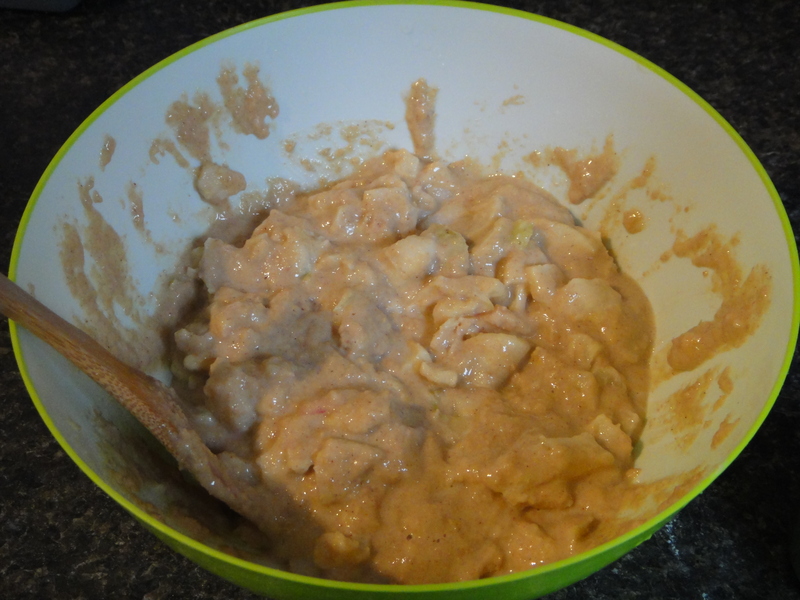 I then added the apples and mixed it all up. Into the greased muffin try they went. 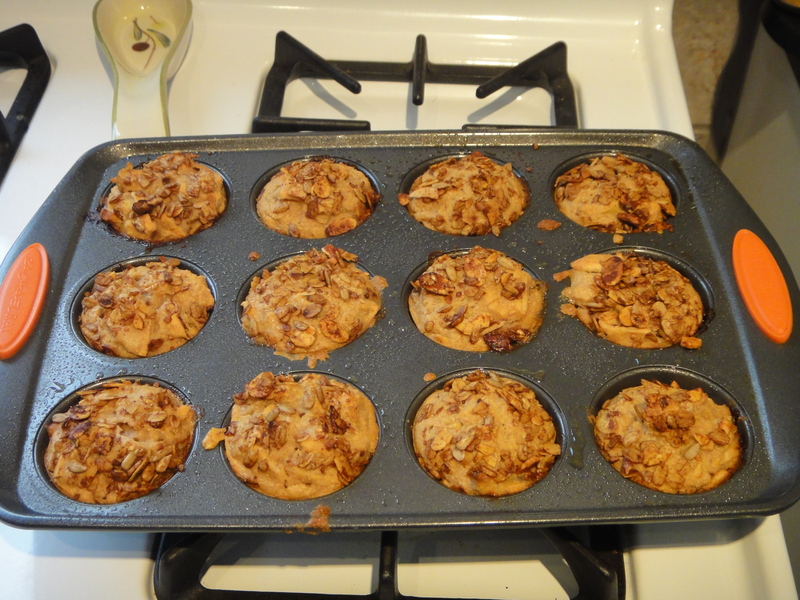 Here they are, all tasty and golden brown. A perfect compliment to a homemade chai latte on a cold Saturday Afternoon. Tasty! Preheat oven to 375. 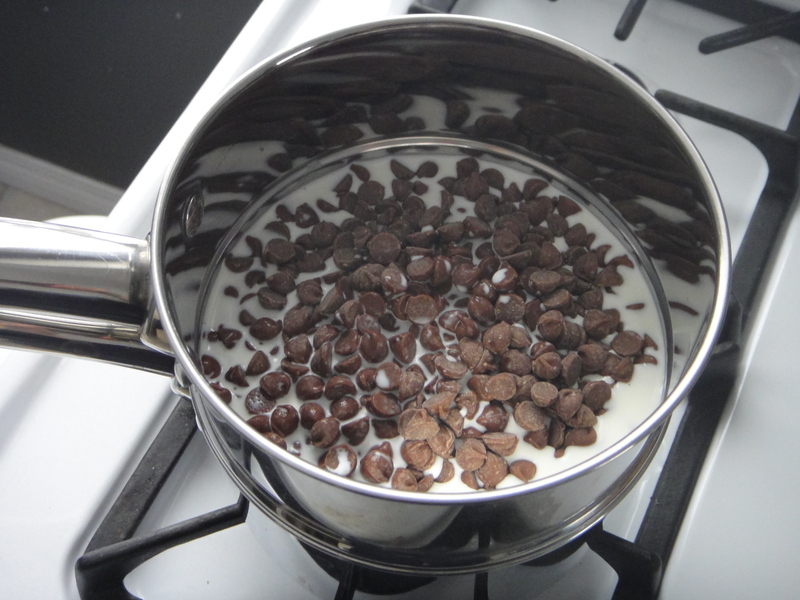 Begin by heating up the milk in a saucepan over medium heat. Once steaming, add the tea bags and steep for 3-5 mins. In a large bowl, combine dry ingredients. Add wet ingredients and mix until all the ingredients are well combined. Stir in apples. 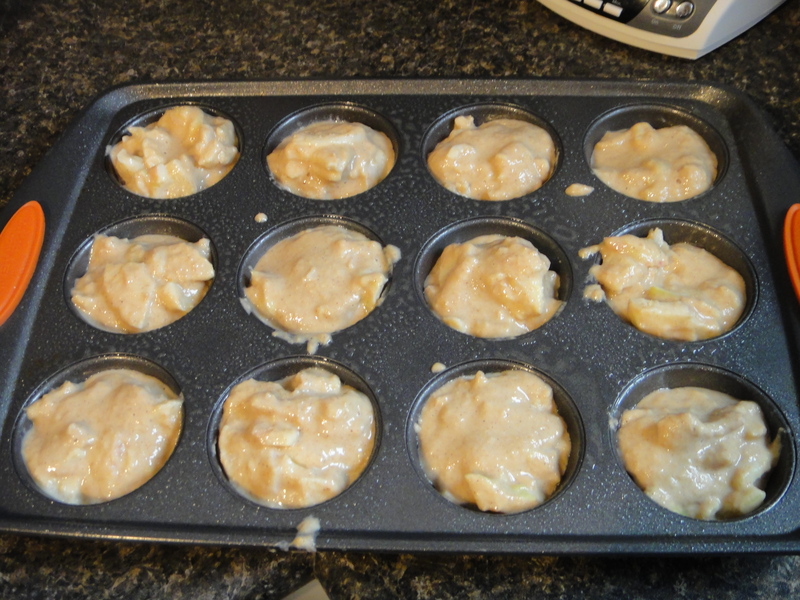 Grease a muffin tin and add batter, filling all of the cups. 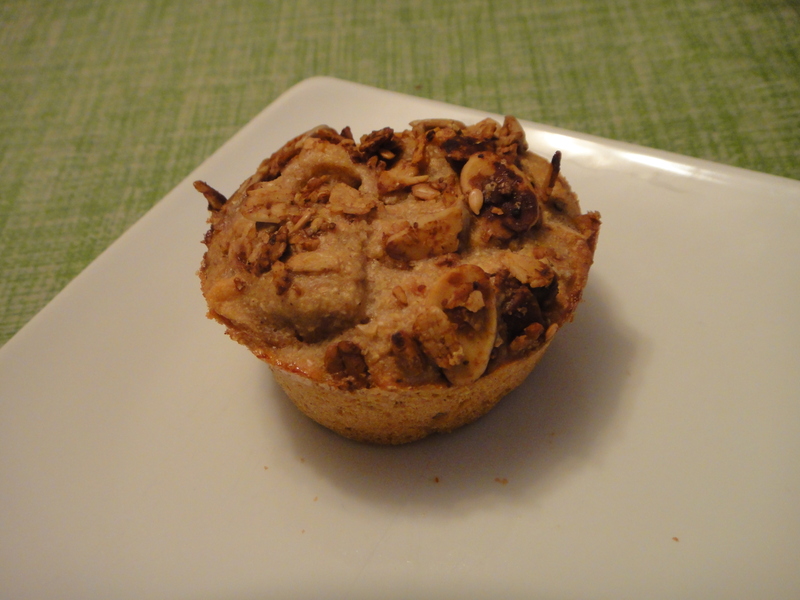 Sprinkle muffins with homemade (or store bought) granola. 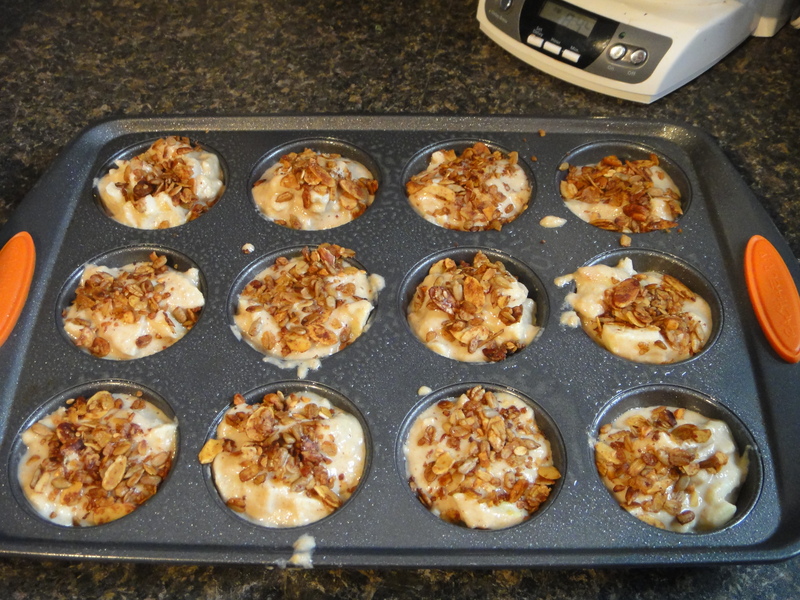 Bake for 20-25 mins, until muffins are golden and cooked throughout. Enjoy, a lot!